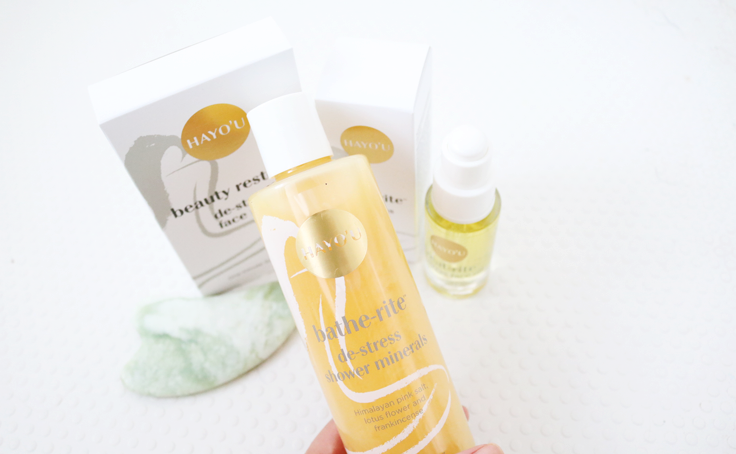 The run up to Christmas is without a doubt one of the most stressful and busiest times of the year, so for this week's Mid-Week Pamper Treat, I wanted to throw a spotlight onto HAYO'U, and their wonderful de-stressing products and one-minute rituals. Like many, I've struggled with stress throughout much of my adult life. 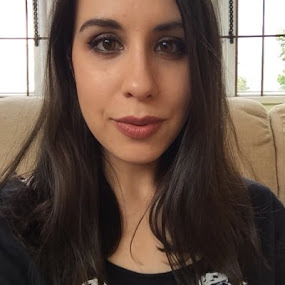 I've gone through periods where stress has so consumed and overwhelmed me, that it's left me unable to do anything, and it's very easy to take that next spiralling step down to depression. Stress is unfortunately also best friends with Anxiety, and the two combined are hell to live with. Luckily, there are ways to manage them, it's just a case of finding out what works for you. One new approach I've been experimenting with is the HAYO'U Method. The HAYO'U Method is the brainchild of Katie Brindle, a woman whose life was literally turned upside down when she was in a car accident back in 1992. The accident left her with whiplash, and she experienced constant pain for over a year, which led her to seek out alternative therapies as a way of dealing with it. The ancient art of Chinese medicine was the one that worked, and after much reading, studying and travelling in Asia, the HAYO'U Method was finally born. Essentially, the HAYO'U Method is a health and wellbeing programme based upon Chinese medicine's wisdom and principles but updated somewhat for our time-poor and stress-rich lives. At the root of the method is an empowering base of self-care, with easy one-minute rituals (more info here) that you can do at home to help eliminate stress on a daily basis. There are four rituals in total (Morning, Evening, Breathing and Beauty), and naturally, I've been enjoying the Beauty one the most. In the evening: after cleansing and toning, I've been applying a few drops of HAYO'U Treat-rite De-Stress Face Oil* (30ml, £33, link) all over to prep my skin for the Beauty Ritual. This face oil is described as a 'concentrated beauty treatment' and is packed full of natural ingredients such as Camelia and Palmarosa Oils, Lotus Flower, Lemongrass and Frankincense to nourish the skin, life the spirit and calm your senses. The texture of it is beautiful, and even if you weren't interested in the health and wellbeing side of HAYO'U, I'd still recommend checking out this face oil if you're in the market for a new one as it'll make a worthwhile addition to your Winter skincare routine. Onto the Beauty Ritual - this method incorporates the ancient Chinese medicine technique of Gu Sha. 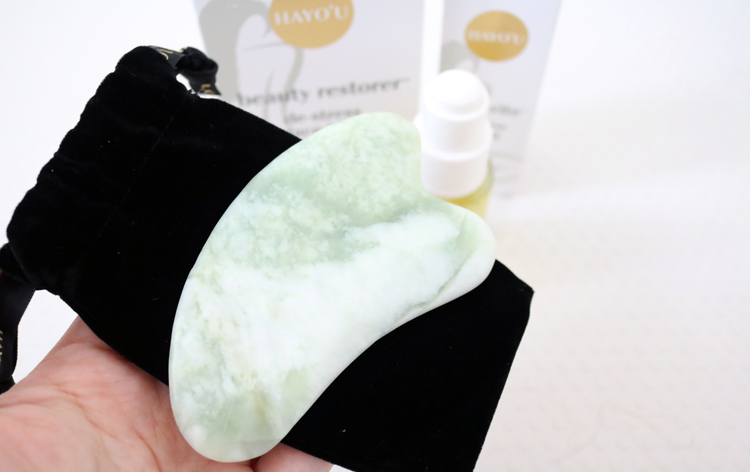 Using a round, smooth-edged massage tool such as the HAYO'U Beauty Restorer (£35, link), simply press-stroke your face with the tool, concentrating on the areas that store up tension such as the temples, brow and jaw line. Follow the simple Clear, Sweep and Press steps (info & Youtube tutorial here), and you'll find that Gu Sha helps to clear away signs of stress, release toxins and congestion, whilst improving the circulatory system. 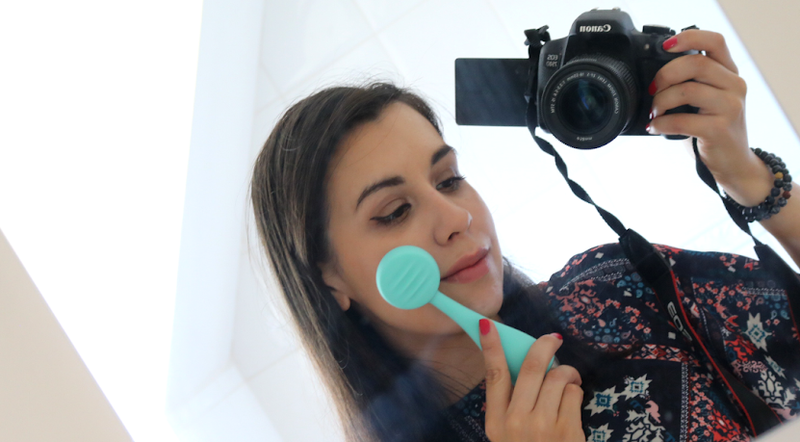 I find this technique particularly helpful for unclogging the skin's impurities and reducing the amount of breakouts that I get, and I love the smoothness of the jade Beauty Restorer. 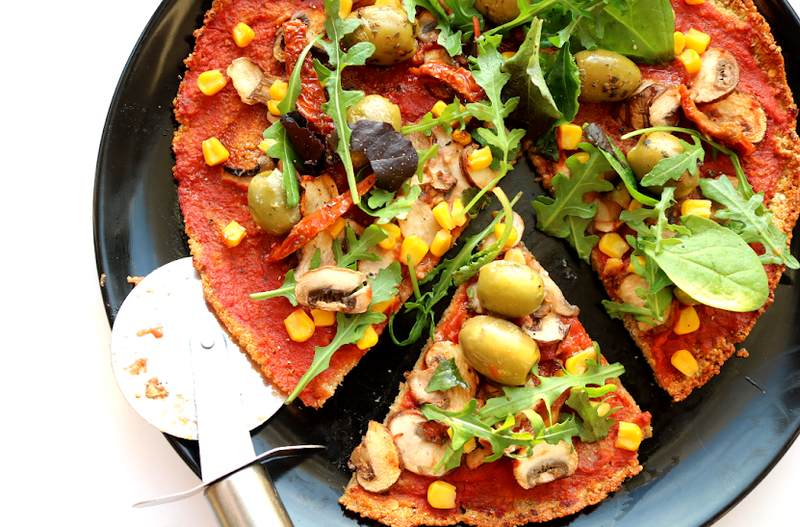 Once you've tried it a few times, you'll want to do it everyday! 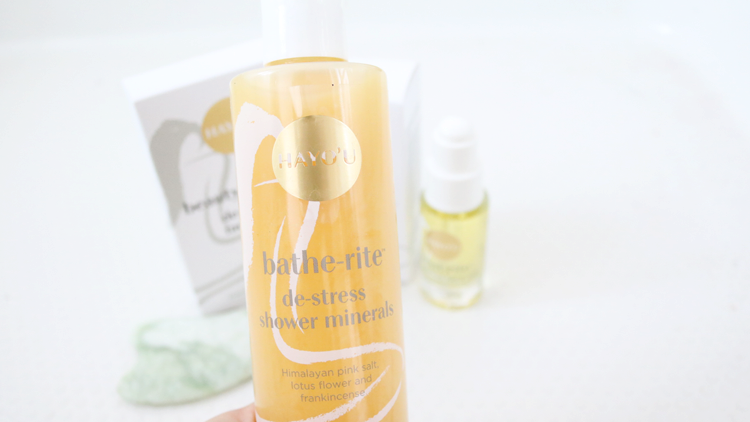 Although a long, hot bath is always a great way to de-stress and unwind after a hard day, it's not often possible time-wise to fit one in, so I've come up with my own 'Shower Ritual' using HAYO'U Bathe-rite De-Stress Shower Minerals* (250ml, £28, link). This concentrated shower gel style formula is rich in Himalayan Pink Salt, Magnesium and Dead Sea Salts which help to draw out toxins and tensions in the body. It's got the same wonderfully subtle fragrant blend of Lotus Flower, Lemongrass and Frankincense as the De-Stress Face Oil, so I like to practice some breathing exercises in the shower to thoroughly relax and let go. 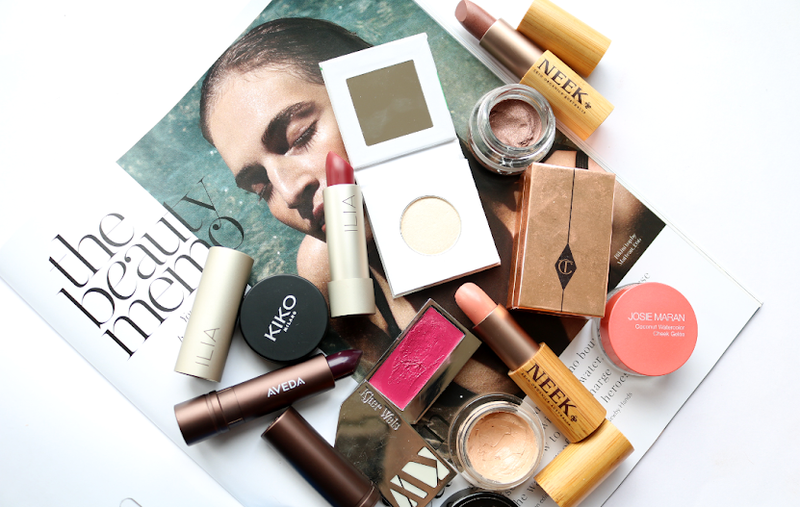 This seems like such a lovely pamper session! I love to give myself a face mask on wednesdays as well, just to get you through the week, right? I've never heard of Gu Sha before but it sounds like a very stress-relieving thing to do. I can imagine how that would help get the blood flowing in your skin and help push out all the toxins etc. Absolutely! Face masks mid week are always a good idea :) Definitely, Gu Sha is a fascinating technique, very simple and easy to do though!